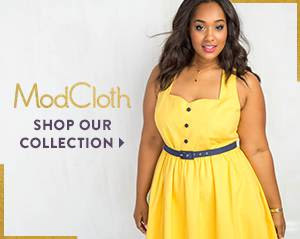 Introducing ModCloth, the online shop’s first-ever namesake label, inspired by you! To create this line of versatile tops, bottoms, cardigans, coats, and of course, beautiful dresses, the folks at ModCloth looked to your feedback to determine all the must-have details (say hello to pockets and luxe linings! ), pored over popular trends on Style Gallery, and did three times the typical amount of fittings to ensure a fabulous, consistent fit. Shop the gorgeous looks now! Found a ModCloth look you’ve just gotta have? Get it ASAP with their latest deal! Use code YESEXPRESS to get FREE express shipping on US orders of $150+ . Tops, bottoms, fall-ready outerwear, and head-turning dresses — don’t wait to flaunt the looks you love. Nab ’em today! Next The Best Dates In Life are Free!